A Will sometimes referred to as a Last Will and Testament is a legal declaration by which the testator (the person making the Will) makes provision for the distribution of their assets upon their death. Generally speaking, anybody over the age of majority who has sufficient mental capacity to do so can make a Will with or without the assistance of a Solicitor. Common types of Will include: Nuncupative Wills, which are oral or dictated and are typically limited to military personnel, Holographic Wills, which are handwritten by the testator, Self-proved Wills, which include witnesses’ affidavits to avoid probate, Notarial Wills, which are prepared by a notary, Mystic Wills, which remain sealed until death, Serviceman’s Wills, which are the Wills of active military personnel, Reciprocal Wills, which are made by two or more people (usually spouses) that make similar provisions in favour of each other, Unsolemn Wills in which the executor is unnamed and Wills in solemn form, which are signed by both the testator and witnesses. Probate typically refers to the legal process whereby the deceased’s assets are distributed to the beneficiaries of their estate. It is generally used within the legal profession as a term to cover all procedures concerned with the administration of the estate of a deceased person. The legal procedures concerned with Probate come within the jurisdiction of the High Court of Justice, which issues documents (grants of representation) conferring the ability to administer a deceased person’s estate. If a valid Will is available a grant of probate will typically be requested. In the absence of a valid Will, a grant of administration is more likely. If an estate has a value of fewer than five thousand pounds, or if all assets are held jointly and therefore pass by survivorship (e.g. to a surviving spouse), a grant is not usually required. Probate is typically contested in situations where no valid will exists (e.g. the deceased died intestate, the Will hasn’t been completed in accordance with current legislation, the Will was completed fraudulently, the deceased was mentally incapable of completing the Will or the Will has been lost or destroyed.) or the beneficiaries of a Will feel that they have been unfairly treated (e.g. the inheritance has not been paid, the beneficiary has received no, or an insufficient inheritance). Read more about why Wills are contested here. 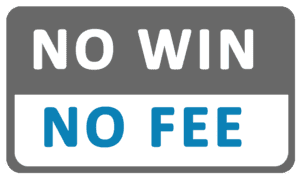 The frequently used term “no win, no fee” refers to a conditional fee or a damages based agreement for services provided where the fee is payable only if the claim is successful or is favourably settled out of court. The usual form of a conditional fee agreement is that the solicitor will take a law case on the understanding that if lost, no payment will be made. If the case is won, the lawyer will be entitled to the normal fee based on hourly billing, plus a success fee no greater than 100% of the normal fee. A conditional fee arrangement provides access to the courts for those who cannot afford to pay for litigation. Conditional fees also provide a powerful motivation to the solicitor to work diligently on the client’s case, unlike whereby clients pay the solicitor by the hour for their time, meaning it makes little economic difference to the solicitor whether the outcome is successful or not. In addition, because solicitors assume the financial risk of litigation, the number of speculative or unmeritorious cases may be reduced. 1. Am I eligible for contesting a will? 2. What would be the Cost to contest a will? 3. How long do you have to challenge a will? 4. How to challenge a will? 5. What is a caveat? 6. What is contentious probate? 7. Can an executor contest a Will? 8. What does it mean to contest the will? 9. Can all Wills be contested? 10. Can you contest a Will after probate? 11. Is it hard to contest a Will? 12. Do you have to go through Probate if you have a Will? 13. Can you challenge an executor of a will? 14. When the Deceased failed to honour promises under a Will?